An audio interface is perhaps the single most important part of your signal chain. All the post-processing in the world won’t help if the signal going into your DAW is sub-par, so don’t skimp on this — it’s one of the few places where we think gear DOES matter. Fortunately, there are some great interfaces these days that are pretty affordable. 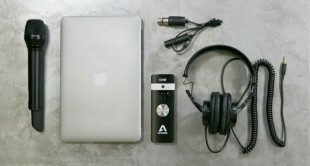 For Mac users, we love the Apogee line, for Windows (or Mac) users Universal Audio’s Apollo is a great way to go. At some point or another, most guitarists have drooled over one of the high-end amp modelers. They’re not cheap but they are pretty great, so if you really want to spoil a guitarist then these are a great option. 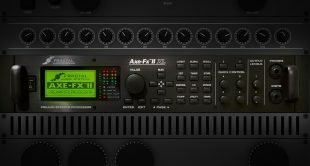 We like the Fractal Audio Ax8, which is basically a footboard version of the Axe-FX. The Line 6’s Helix and the Kemper Profiling Amp are also great units. 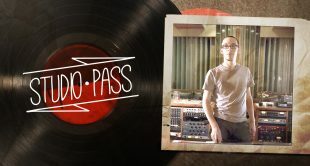 Record great music using minimal gear. Join Zach Varnell to learn the basic set-up you’ll want to create to start recording music at home. Learn more. Speaking of amp modelers, if you’re fortunate enough to own a Fractal Audio Axe-FX then you know it’s a very powerful but very complex piece of gear. In this class, Fractal’s own Cooper Carter goes through all the basics that will help you get the most out of it, from tweaking the presets to creating your own from scratch using the Axe’s vast array of amp, effects and cab blocks. Regardless of whether you use tube amps, a modeler or amp sims, the one constant is that tone is in the hands. When you’re in the studio, that means meticulous attention to detail when tracking and editing– and nobody is more meticulous than Joey Sturgis. Regardless of whether you’re going for Joey’s sound, if you’re a guitarist you need this class. This is the blueprint for getting great guitar takes! And last but definitely not least, any guitarist/producer needs a solid EQ plugin to fine-tune their tone in a mix. While the stock EQ plugin that comes with your DAW can do the job, you may find that upgrading to a higher-end EQ gives you that extra little layer of polish that takes you from A to A+. 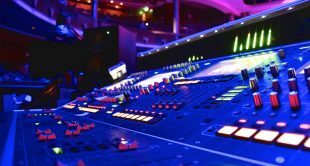 We’re a big fan of the Waves SSL E-channel and Q10 plugins as well as Fabfilter’s Pro Q. For a limited time, the entire CreativeLive catalog — including all music and audio classes — is 40% off! Shop now!